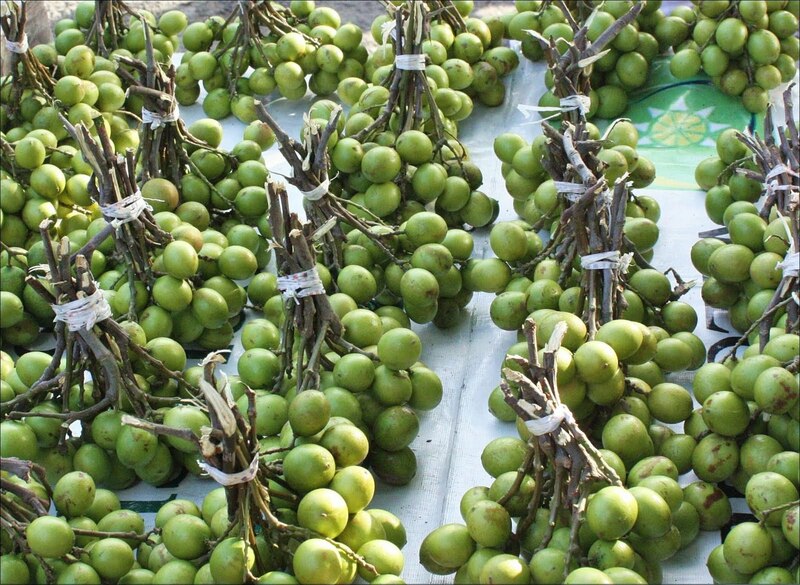 Ovoid green fruit that grows in bunches on trees up to 30m high. 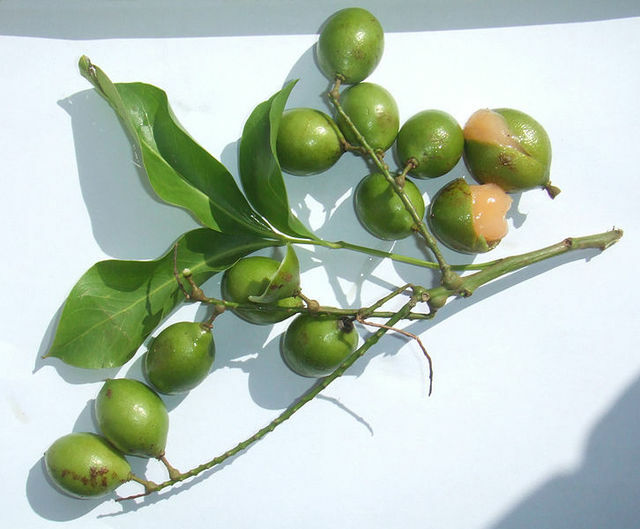 The fruit typically ripen during the summer. 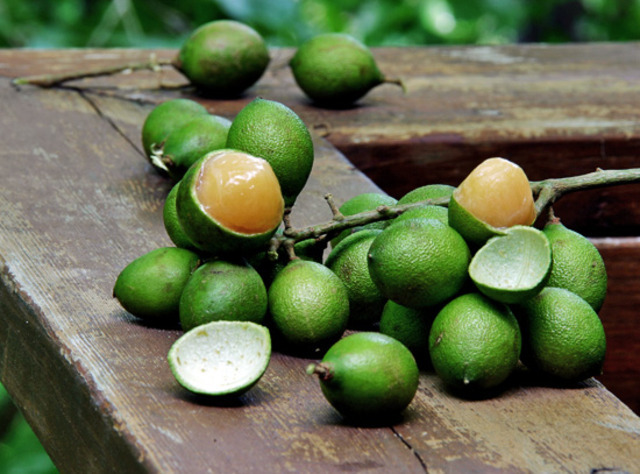 The fruit is related to the lychee and have tight, thin but rigid skins. 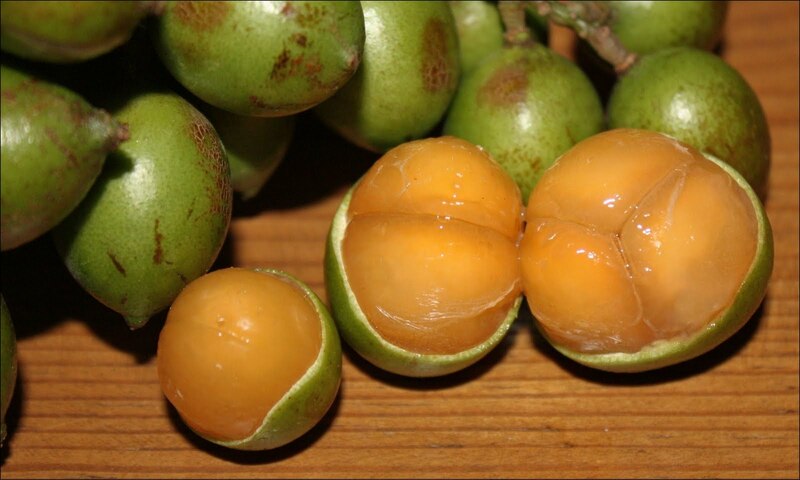 Inside the skin is the tart, tangy, or sweet pulp of the fruit covering a large seed. The pulp is usually cream or orange coloured.